It’s no secret that I love to read. Especially when it comes to educational reads that I can use to improve my life. You can see that by scrolling through my first posts on this blog. I read probably every pre-pregnancy and pregnancy book available to man at that time (my current kick is books on gut health) And through that reading, I acquired quite a bit of information. My recent, let’s call it, obsession has been learning on how to improve my body and my health. As you get into your 30s, you start to realize that you won’t be young and healthy forever, even if you still are through all of your 30s. Most people have heard a saying that goes something like this “your gut is your immune system”. However, most people also don’t understand fully what that means and the truth is pretty mind blowing. There is a ton of research being done on the microbiome of our digestive system and gut health and what an enormous impact it has on our overall health, as well as the reasons why so many people are coming down with auto-immune conditions that did not seem to be so prevalent years ago. If you’re wondering why you’re feeling sluggish, how come your suddenly developed allergies to certain things, your mind is in a fog, you have migranes, anxiety, depression, weight gain, acne- almost all of these things have to do with how you digestive system (aka gut) is doing. Every autoimmune condition has its roots in the digestive system and its disbalance and according to many scientists, they are often reversible. So cue in hashtag all the books on gut health! Note: the reason why I list 10 books on gut health is because every person is different in what resonates with them. When I research a topic I try to read a multitude of opinions and angles on the same issue to make up my own mind rather than blindly believe what one author is saying. I took that approach with pregnancy and weight lifting and now with gut health books. Yes, some information is doubled up, but I find that you always come across a few tidbits of information that makes more sense to you that other books missed if you read a few books rather than one. This book discusses the microbiome diet which looks at the idea that each person’s body digests food differently based on the bacteria within their gut. By re-establishing a healthy gut with a specific diet, you can get rid of the bad bacteria and fix your “leaky gut” which may be causing inflammation and weight gain. This book not only describes the microbiome diet and the scientific processes behind it, but it also gives recipes to use to help you to get there. Science has shown that your brain is connected to your gut. The microbiomes that live in your gut and your intestines have a direct relation to how your brain functions, and thrives, especially over time. This book tells you how you can nurture your gut with a few easy strategies in order to alter your brain for the better. The strategies and diet changes come in six steps to help make it easier to follow. If you just need some recipes to help you fix your leaky gut syndrome, this book contains 120 recipes with over 30 variations to help balance your belly bacteria and improve your intestine’s functions. They have recipes for foods, soups, yogurt, meat and fish dishes, appetizers, and desserts as well as tips for stocking your pantry, meal planning, and meal prepping. Many people know that gluten can cause an issue with your gut. But did you know that seemingly healthy other foods like tomatoes, quinoa, and brown rice can do the same? These foods, and others, contain lectin- a plant-based protein. This book explains why lectins can be bad for your body and also provides 100 recipes to help you make the switch from gluten-free to lectin free. Changing your diet is all well and good, but do you want to know why your gut works the way it does? This book, written by a witty and funny doctor, explains the science behind your gut and why certain things happen to people like acid reflux, constipation, and more. She also discusses the interactions between your brain and your gut, and uses easy to understand illustrations to help further understanding of the importance between your brain and the microbes of your intestines. Another method of cleaning your gut is by using the C.A.R.E.—Cleanse, Activate, Restore, and Enhance- system as created by Dr. Vincent Pedre. This method eliminates food triggers, clears the gut, and replaces them with healthy probiotics. This book also contains recipes and meal plans for gluten-free, low-fat, and vegetarians options. It gives a 28-day guy cleanse and even yoga postures to help with digestion. This is the gut health book I am reading right now. Have you heard of the super-bug epidemic where we have so over-medicated ourselves that we are destroying the good bacteria that keep us healthy? Justin and Erica Sonnenburg investigate the idea that because of the overuse of antibiotics and other bacteria-killing chemicals that we are essentially destroying a species that depend on our bodies to survive and that we, in turn, depend on for a healthy body. They offer recipes, alternatives to antibiotics, and meal plans to help feed the healthy microbiomes to keep them alive. Another method for creating a healthy gut, Dr. Micheal Ruscio introduces an 8-method system to get rid of unhealthy bacteria, replace it with healthy bacteria, and maintain a healthy lifestyle. He discusses the importance of your gut, a diet for a healthy gut, lifestyle changes to make, and tools to help heal your gut. His gut health methods will help relieve you of depression, fatigue, hormonal imbalances, autoimmune issues, bloating, gas, and more. Dr. Josh Axe believes that modern technology that “help” our food supply have actually caused us to damage our intestines. Over 80% of the population has a leaky gut and many don’t even know it, and getting a little “dirty” will help rebuild those healthy microbiomes in our guts. Simple things like using local honey and stopping using hand-sanitizers can help. Dr. Axe gives customizable plans for the five different “guy types” and gives diets, supplements, and lifestyle recommendations for each. The GAPS diet, or the Gut and Psychology Syndrome diet, focuses on eliminating foods that can cause or increase the symptoms of psychological disorders and malfunctions such as ADD and ADHD, autism, depression, and more. This cookbook developed by Dr. Natasha Campbell-McBride offers hundreds of delicious and accessible recipes to help heal your leaky gut. A leaky gut has been found to be the basis of many people’s health issues including bloating, inflammation, hormonal imbalances, autoimmune diseases, and more. 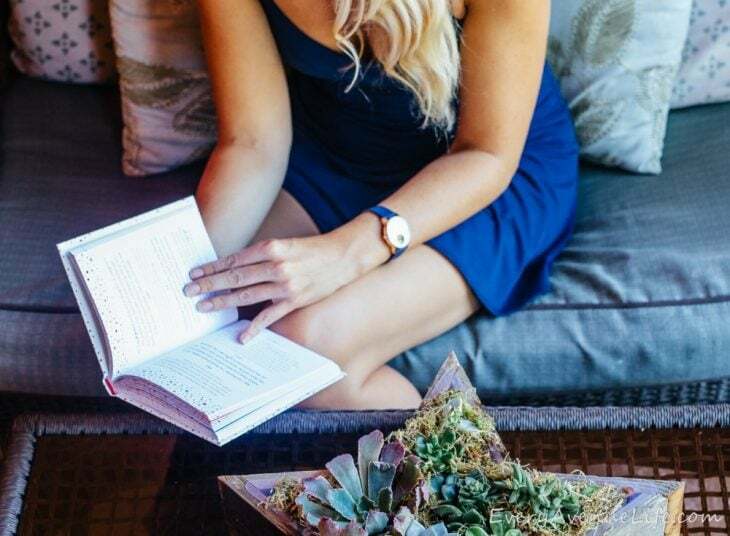 These 10 books on gut health can give you a different perspective on how you may want to approach healing your leaky gut. From changing your diet to adding supplements, and ways to incorporate these changes into your lifestyle, these books on gut health will help you start taking the right steps into improving your health and overall wellness.